K. Barton, S. Mishra, K.A. Shorter, A. Alleyne, P. Ferreira, J. Rogers, "A Desktop Electrohydrodynamic Jet Printing System," Mechatronics 20 611-616 (2010). V. Malyarchuk, I. Jung, J.A. Rogers, G. Shin and J.S. Ha, “Experimental and Modeling Studies of Imaging with Curvilinear Electronic Eye Cameras,” Optics Express 18(26), 27346-27358 (2010). J.A. Rogers, “Electronics: A Diverse Printed Future,” Nature 468, 177-178 (2010). S. Wang, J. Xiao, J. Song, H.C. Ko, K.-C. Hwang, Y. Huang and J.A. Rogers, “Mechanics of Curvilinear Electronics,” Soft Matter 6, 5757–5763 (2010). R.-H. Kim, D.-H. Kim, J. Xiao, B.H. Kim, S.-I. Park, B. Panilaitis, R. Ghaffari, J. Yao, M. Li, Z. Liu, V. Malyarchuk, D.G. Kim, A.-P. Le, R.G. Nuzzo, D.L. Kaplan, F.G. Omenetto, Y. Huang, Z. Kang and J.A. Rogers, “Waterproof AlInGaP Optoelectronics on Stretchable Substrates with Applications in Biomedicine and Robotics,” Nature Materials 9, 929-937 (2010). J. Wu, M. Li, W.Q. Chen, D.-H. Kim, Y.-S. Kim, Y. Huang, K.-C. Hwang, Z. Kang and J.A. Rogers, "A Strain-Isolation Design for Stretchable Electronics," Acta Mechanica Sinica 26, 881-888 (2010). M. Li, J.L. Xiao, J. Wu, R.-H. Kim, Z. Kang, Y. Huang and J.A. Rogers, "Mechanics Analysis of Two-Dimensionally Prestrained Elastomeric Thin Film for Stretchable Electronics," Acta Mechanica Solida Sinica 23, 592-599 (2010). J.L. Xiao, A. Carlson, Z.J. Liu, Y. Huang and J.A. Rogers, "Analytical and Experimental Studies of the Mechanics of Deformation in a Solid with a Wavy Surface Profile," Journal of Applied Mechanics (ASME Transactions) 77, 011003 (2010). S. Unarunotai, J.C. Koepke, C.-L. Tsai, F. Du, C.E. Chialvo, Y. Murata, R. Haasch, I. Petrov, N. Mason, M. Shim, J. Lyding and J.A. Rogers, “Layer-by-Layer Transfer of Multiple, Large Area Sheets of Graphene Grown in Multilayer Stacks on a Single SiC Wafer,” ACS Nano 4(10), 5591–5598 (2010). J.A. Rogers, “Nanoelectronics: Nanoribbons on the Edge,” Nature Nanotechnology 5, 698-699 (2010). S. Kim, J. Wu, A. Carlson, S.H. Jin, A. Kovalsky, P. Glass, Z. Liu, N. Ahmed, S.L. Elgan, W. Chen, P.M. Ferreira, M. Sitti, Y. Huang and J.A. Rogers, “Microstructured Elastomeric Surfaces with Reversible Adhesion and Examples of Their Use in Deterministic Assembly by Transfer Printing,” Proceedings of the National Academy of Sciences USA 107(40), 17095–17100 (2010). S. Mishra, K.L. Barton, A.G. Alleyne, P.M. Ferreira and J.A. Rogers, “High-Speed and Drop-On-Demand Printing with a Pulsed Electrohydrodynamic Jet,” Journal of Micromechanics and Microengineering 20, 095026 (2010). J.M. Lee, J.W. Choung, J. Yi, D.H. Lee, M. Samal, D.K. Yi, C.-H. Lee, G.-C. Yi, U. Paik, J.A. Rogers and W.I. Park, “Vertical Pillar-Superlattice Array and Graphene Hybrid Light Emitting Diodes,” Nano Letters 10, 2783–2788 (2010). D. Shir, J. Yoon, D. Chanda, J.-H. Ryu and J.A. Rogers, “Performance of Ultrathin Silicon Solar Microcells with Nanostructures of Relief Formed by Soft Imprint Lithography for Broad Band Absorption Enhancement,” Nano Letters 10, 3041–3046 (2010). S.-I. Park, A.-P. Le, J. Wu, Y. Huang, X. Li and J.A. 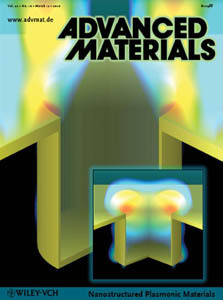 Rogers, “Light Emission Characteristics and Mechanics of Foldable Inorganic Light-Emitting Diodes,” Advanced Materials 22, 3062-3066 (2010). D.J. Shir, E.C. Nelson, D. Chanda, A. Brzezinski, P.V. Braun, J.A. Rogers and P. Wiltzius, “Dual Exposure, Two-Photon, Conformal Phase Mask Lithography for Three Dimensional Silicon Inverse Woodpile Photonic Crystals,” Journal of Vacuum Science and Technology Part B 28(4), 783-788 (2010). X. Ho, L. Ye, S.V. Rotkin, X. Xie, F. Du, S. Dunham, J. Zaumseil and J.A. Rogers, “Theoretical and Experimental Studies of Schottky Diodes that Use Aligned Arrays of Single-Walled Carbon Nanotubes,” Nano Research 3, 444–451 (2010). J.A. Rogers and U. Paik, “Nanofabrication: Nanoscale Printing Simplified,” Nature Nanotechnology 5, 285-386 (2010). K.J. Lee, H. Ahn, M.J. Motala, R.G. Nuzzo, E. Menard and J.A. Rogers, “Fabrication of Microstructured Silicon (µs-Si) from a Bulk Si Wafer and Its Use in the Printing of High-Performance Thin-Film Transistors on Plastic Substrates,” Journal of Micromechanics and Microengineering 20, 075018 (2010). T. Song, J. Xia, J.-H. Lee, D.H. Lee, M.-S. Kwon, J.-M. Choi, J. Wu, S.K. Doo, H. Chang, W.I. Park, D.S. Zang, H. Kim, Y. Huang, K.-C. Hwang, J.A. 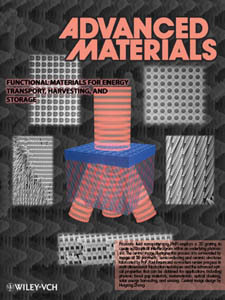 Rogers and U. Paik, “Arrays of Sealed Silicon Nanotubes As Anodes for Lithium Ion Batteries,” Nano Letters 10, 1710–1716 (2010). R.H. Lambeth, J. Park, H. Liao, D.J. Shir, S. Jeon, J.A. Rogers and J.S Moore, “Proximity Field Nanopatterning of Azopolymer Thin Films,” Nanotechnology 21, 165301 (2010). D.-H. Kim, J. Xiao, J. Song, Y. Huang and J.A. Rogers, “Stretchable, Curvilinear Electronics Based on Inorganic Materials,” Advanced Materials 22, 2108–2124 (2010). D.-H. Kim, J. Viventi, J.J. Amsden, J. Xiao, L. Vigeland, Y.-S. Kim, J.A. Blanco, B. Panilaitis, E.S. Frechette, D. Contreras, D.L. Kaplan, F.G. Omenetto, Y. Huang, K.-C. Hwang, M.R. Zakin, B. Litt, J.A. Rogers, “Dissolvable Films of Silk Fibroin for Ultrathin, Conformal Bio-Integrated Electronics,” Nature Materials 9, 511-517 (2010). J. Yoon, S. Jo, I.S. Chun, I. Jung, H.-S. Kim, M. Meitl, E. Menard, X. Li, J.J. Coleman, U. Paik and J.A. Rogers, “GaAs Photovoltaics and Optoelectronics Using Releasable Multilayer Epitaxial Assemblies,” Nature 465, 329-333 (2010). S.W. Hong, T. Banks and J.A. 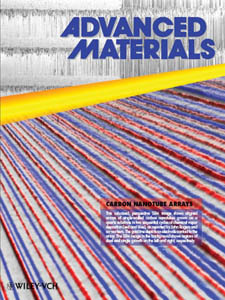 Rogers, “Improved Density in Aligned Arrays of Single-Walled Carbon Nanotubes by Sequential Chemical Vapor Deposition on Quartz,” Advanced Materials 22, 1826-1830 (2010). J. Viventi, D.-H. Kim, J.D. Moss, Y.-S. Kim, J.A. Blanco, N. Annetta, A. Hicks, J. Xiao, Y. Huang, D.J. Callans, J.A. 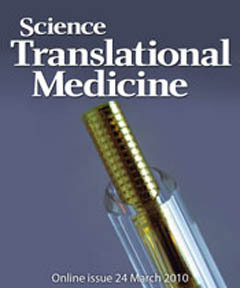 Rogers and B. Litt, “A Conformal, Bio-Interfaced Class of Silicon Electronics for Mapping Cardiac Electrophysiology,” Science Translational Medicine (2010). J.A. 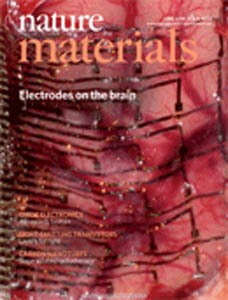 Rogers, T. Someya, Y. Huang, “Materials and Mechanics for Stretchable Electronics,” Science 327, 1603-1607 (2010). G. Shin, I. Jung, V. Malyarchuk, J. Song, S. Wang, H.C. Ko, Y. Huang, J.S. Ha and J.A. Rogers, “Micromechanics and Advanced Designs for Curved Photodetector Arrays in Hemispherical Electronic-Eye Cameras,” Small 6(7), 851–856 (2010). K.A. Arpin, A. Mihi, H.T. Johnson, A.J. Baca, J.A. Rogers, J.A. Lewis, and P.V. Braun, “Multidimensional Architectures for Functional Optical Devices,” Advanced Materials 22, 1084–1101 (2010). S. Unarunotai, Y. Murata, C.E. Chialvo, N. Mason, I. Petrov, R.G. Nuzzo, J.S. Moore, and J.A. 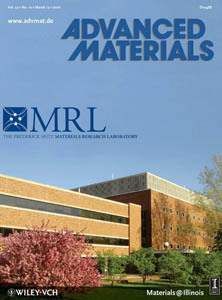 Rogers, “Conjugated Carbon Monolayer Membranes: Methods for Synthesis and Integration,” Advanced Materials 22, 1072–1077 (2010). J. Yao, A.-P. Le, S.K. Gray, J.S. Moore, J.A. Rogers and R.G. Nuzzo, “Functional Nanostructured Plasmonic Materials,” Advanced Materials 22, 1102–1110 (2010). J.-U. Park, S. Lee, S. Unarunotai, Y. Sun, S. Dunham, T. Song, P.M. Ferreira, A.G. Alleyene, U. Paik and J.A. Rogers, “Nanoscale, Electrified Liquid Jets for High-Resolution Printing of Charge,” Nano Letters 10, 584-591 (2010). X. Ho, L. Ye, S.V. Rotkin, Q. Cao, S. Unarunotai, S. Salamat, M.A. Alam and J.A. Rogers, “Scaling Properties in Transistors That Use Aligned Arrays of Single-Walled Carbon Nanotubes,” Nano Letters 10, 499-503 (2010). A.J. Baca, K.J. Yu, J. Xiao, S. Wang, J. Yoon, J.H. Ryu, D. Stevenson, R.G. Nuzzo, A.A. Rockett, Y. Huang and J.A. 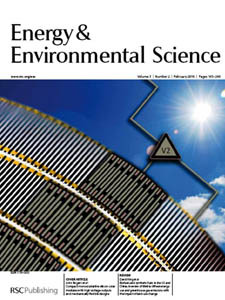 Rogers, “Compact Monocrystalline Silicon Solar Modules With High Voltage Outputs and Mechanically Flexible Designs,” Energy and Environmental Science 3, 208–211 (2010). J. Xiao, S.Y. Ryu, Y. Huang, K.-C. Hwang, U. Paik and J.A. Rogers, “Mechanics of Nanowire/Nanotube In-Surface Buckling on Elastomeric Substrates,” Nanotechnology 21 085708 (2010). I. Jung, G. Shin, V. Malyarchuk, J.S. Ha and J.A. Rogers, “Paraboloid Electronic Eye Cameras Using Deformable Arrays of Photodetectors in Hexagonal Mesh Layouts,” Applied Physics Letters 96, 021110 (2010).